December 1st, 2016 in Paris (France). 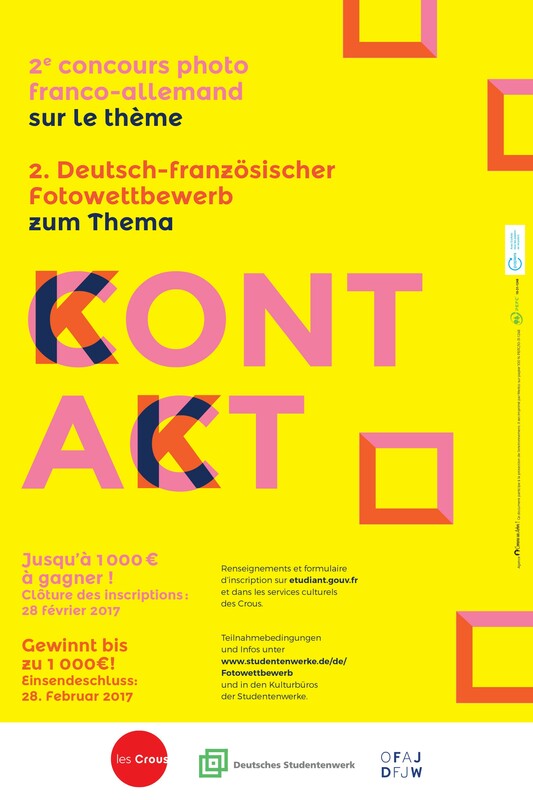 The French Agency for Student services (Cnous) and its German counterpart, Deutsches Studentenwerk (DSW), are launching the second edition of the French-German Photo Contest on the theme “Contact”. Open to all students enrolled in a higher education institution in France or Germany, the aim is to illustrate French-German relations and to symbolize the France / Germany couple through any type of photography (black and white or Color).